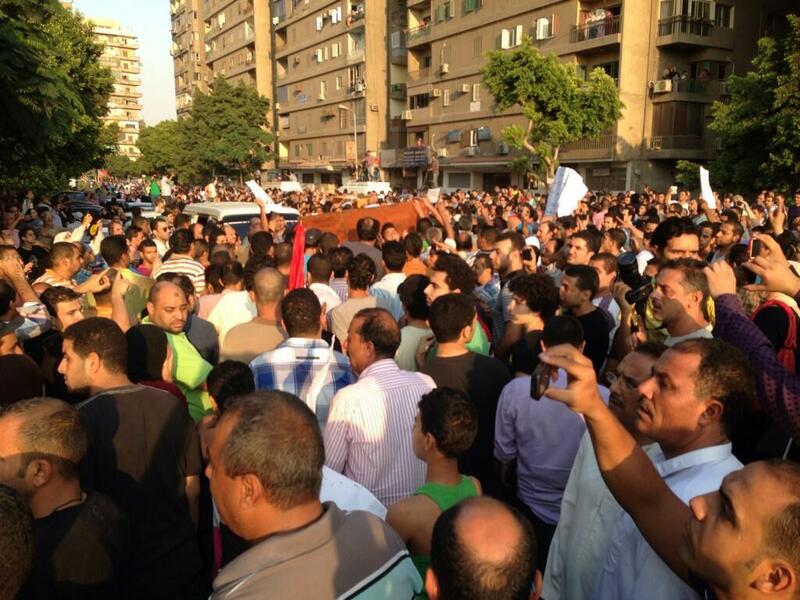 Mourners marched through el-Manial with the coffins today. They were chanting in rage against the Muslim Brotherhood. This comes after Morsi supporters fired guns at residents of El-Manial on the El-Gamaa bridge near Cairo University last night. Related… Pro-Morsi protesters fire on opposition protesters in Alexandria.